Susquehanna Riverlands | Museum Day in the Riverlands! Museum Day in the Riverlands! Pollinator Park & Edible Park created in Riverlands! Lancaster Water Week Starts June 1st! More than 1000 museums will have free admission on Saturday, September 22nd. The day is organized by Smithsonian Magazine. The magazine created the day not just to bring visitors through the doors of museums. “Smithsonian recognizes the extraordinary power of museums and other cultural institutions to provide visitors with insight and inspiration. This event represents a commitment to boundless curiosity and the pursuit of knowledge wherever you are.” If you’re curious about the Susquehanna Riverlands region, four local museums are participating in Museum Day Live! This museum chronicles the history of Columbia, Pennsylvania and includes an amazing model train of the town. Located in the original English Evangelical Lutheran Church, the museums features a wide swath of artifacts from the local community. Visits to this museum are regularly free so no ticket is required. Donations are always appreciated. 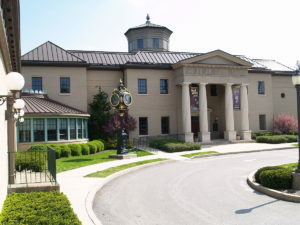 The National Watch & Clock Museum houses over 12,000 artifacts. It’s vast and interesting exhibits are great for all ages. Today, the museum is recognized as the largest and most comprehensive horological collection in North America. In conjunction with Museum Day, the museum will be holding its fourth annual Cloktoberfest. Enjoy behind-the-scenes tours of the Museum, clock and watch evaluations, make-and-take a clock, a steampunk fashion show, book sale, silent auction, area food trucks, beer, and vendors selling horological, industrial, steampunk, and handmade items, and more! Using sight and sound, the exhibit shows how the Confederate Army under the direction of General John B. Gordon reached Wrightsville, looking for a way across the Susquehanna River. 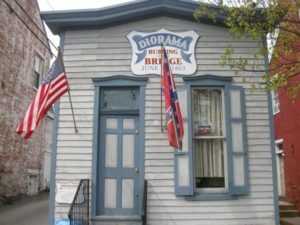 Local volunteers and Pennsylvania militia defended Wrightsville and the covered bridge. 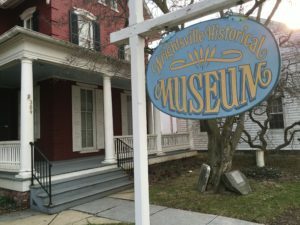 Wrightsville was once the western frontier of Pennsylvania. 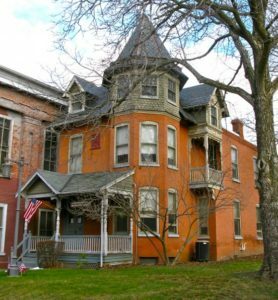 This historic home has been converted to a museum focusing on the town’s history. Special rotating exhibits on particular aspects of local history complement the permanent displays. Visits to this museum are regularly free so no ticket is required. Donations are always appreciated. Once you enter your name, email address, and select the museum you wish to attend, your ticket will appear on the next screen and be emailed to you. Check your inbox for an email from info@noreply.smithsonianmag.com with a link to your ticket. Don’t forget to save it!